Business Metrics are quantifiable values that measure the success and efficiency of a given business process. Different process goals call for different metrics to measure their success. The Decisions 5.0 platform and later includes ways to define what metrics you want to measure for a given process and visually elegant ways to display those metrics. For example, you may want to measure application submissions that are started and abandoned by users. 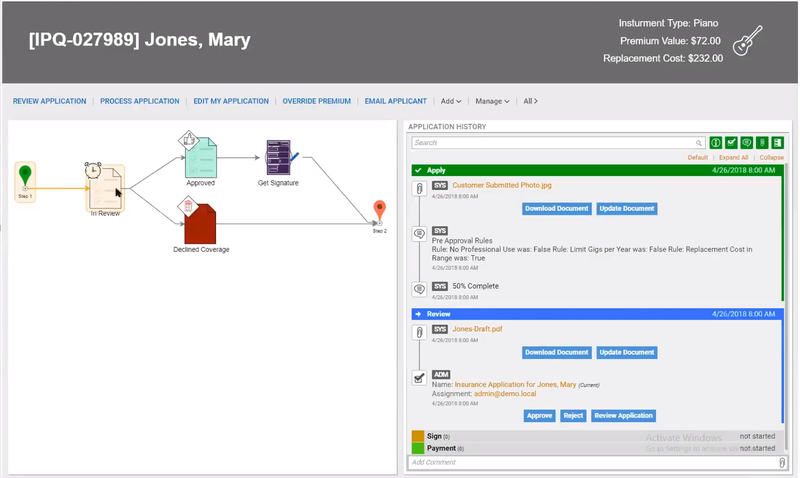 Decisions lets you choose the Flow Step(s) associated with that application as a relevant business metric and display it in a dashboard for analysts to see. Decisions is a tool to get things done, but it also includes ways to visualize what&apos;s happening and to take action. 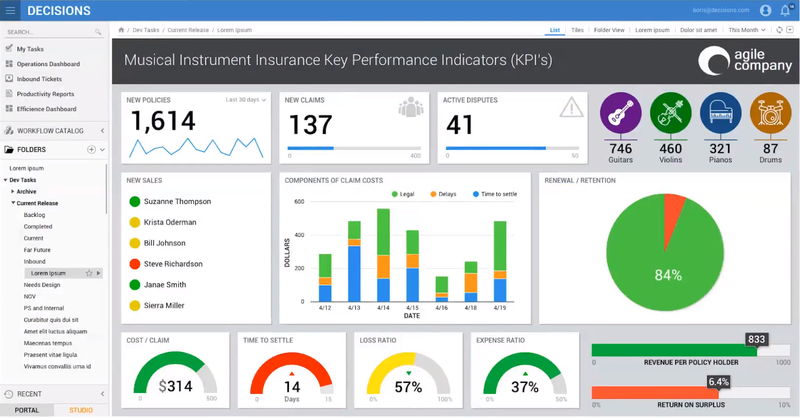 Identifying key metrics and capturing and displaying them in a dashboard is a powerful way to do this in Decisions 5.0 and later. The business metric data you want to capture can come from anywhere. It can be process data from a Decisions Flow, an outside system like Dropbox or Gmail, or an existing database or web service call. Decisions 5.0 and later also includes counters you can apply to Flows and events. Visualizing the data happens in Pages and dashboards. A common way to display key metric data is with a Diagram Tile	on a dashboard. For example, you can use tiles to display late tasks by user and take action immediately by sending a check-in email to a user who is getting behind. In the above example, the diagram is live and will move on to subsequent steps as action is taken. The shapes used here are not actually Steps; rather, they represent business metrics - key points in the process you want to track. Decisions ships with thousands of default shapes you can use to design diagrams like this.